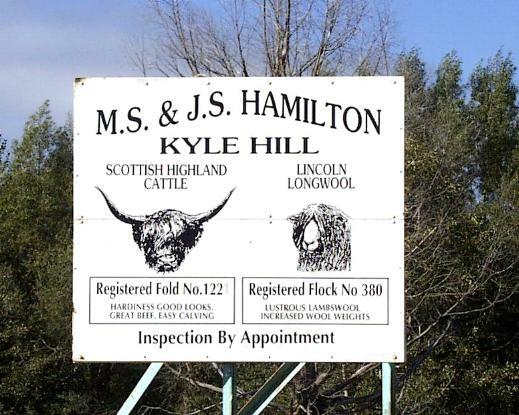 The Scottish Highland Cattle Stud is owned by Jean and Maurice Hamilton and is registered with the New Zealand Highland Cattle Society Inc. The farm is situated on rolling hill country north east of Gore in the South Island of New Zealand. It overlooks the Waimea plain where the world famous brown trout river, the Mataura, flows. ??? ??? ??? ??? (884-98) ? ??? NM Hamish of Huntroyd (NZ1001) ?? ?